In this article I am going to be talking about the only surfaces that need a little pressure to get the desired results. These are the only surfaces that we would ever take some pressure to and we have many reasons for this. Concrete is very hard (hard as a rock ) although even this extremely hard surface can be scarred by improper use of high pressure. The only reason we would use pressure is to give some immediate results to our customers. 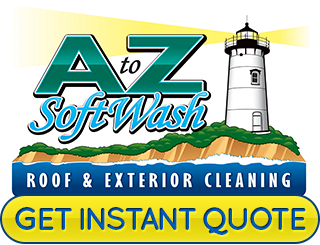 Our SoftWash process will get the job done all by itself but to speed up the process we use a pressure washer. To elaborate on this a bit further I will say that we still approach this as a treatment and not just a pressure washing due to the fact that during this process the surface being cleaned is also treated by our SoftWash system to ensure that all the algae and bacteria growth is not just removed but is also dead. This will make the results last longer than your typical power washing service. It is amazing what cleaning your walkways and front entry can do for your curb appeal, not only that but they will be far safer if they are not covered in a slippery algae infestation. 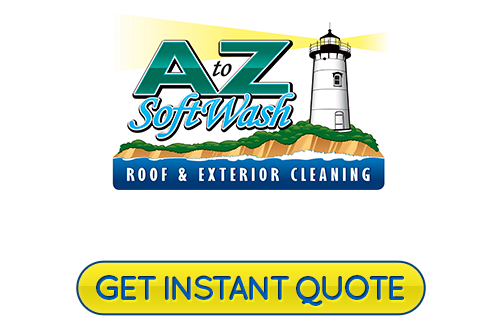 If you are looking for an expert for roof cleaning in Cape Cod, MA, then please call 508-209-7795 or complete our online request form.